Real Name: Doug thinks real names are for normal people. Hi I'm Big g. I'm 27, and as far as I know I've been a major geek for every second of those 27 years. Seriously, I have memories of when I was 3 years old telling people that I wanted to be Voltron when I grew up; and I don't mean one of the lion-pilots, I wanted to be the gigantic space-lion-robot when I grew up...still do. My geekdom was born and raised in the super hero realm but branches into virtually every domain reserved for the socially unique. I grew up in the early 80's, which in my opinion was the undeniably best time to grow up as a child because of the quality of our cartoons; which has yet to be equaled to this day. We had it all, not only did we have the best and the brightest of Cartoon's golden age including Looney Tunes, Mighty Mouse, Hercules, the Super Friends, the Spider-Man 60's show, and Disney before it started to run out of ideas. But better even than that, the 80's were the dawn of the greatest age of action and adventure cartoon shows ever. Shows like He-Man, Transformers, Thundercats, M.A.S.K., Dino Riders, Silverhawks, and the Visionaries (to name but a few...) had thrilling action, mind-bending gimmicks, brilliant toys, and fantastic plots that kept my imagination burning for hours. Outside of the weekly dose of awesome that rained down upon my childhood in the form of Saturday morning Cartoons, I partook of a healthy dose of the Star Wars, Godzilla, Alien, Batman, Star Trek, and any other space/fantasy related movies and TV shows I could get my greedy little paws on. I also harbor a nearly encyclopedic knowledge of Marvel and D.C. Comics that has been slowly and continuously growing since I first discovered comics as a child with an old Spider-Man comic that I've long ago lost the cover to. I discovered my local Comic Book store 8th St. Books and Comics when I was nine. I then spent every dollar I could find ravaging the dollar-comic bins and saving up for the latest issue of X-Men 2099 (the first series I collected from #1 onwards) and What If (still my favourite Marvel Comics). I started a comic-file at 8th St. Books when I was ten (file = minimum 6 titles a month), right in the middle of the Age of Apocalypse, a relative high-point for the X-Men at that time, and in 2002 I was hired at the Store; where I still work to this day cause it feeds those comic-book needs. I've yammered enough, but as I'm sure you'll find out when you check out our shows, that I'm firmly rooted in most every other form of geekdom; gaming (video, board, and role-playing), collecting, reading, science, I was even a boy-scout for most of my youth. 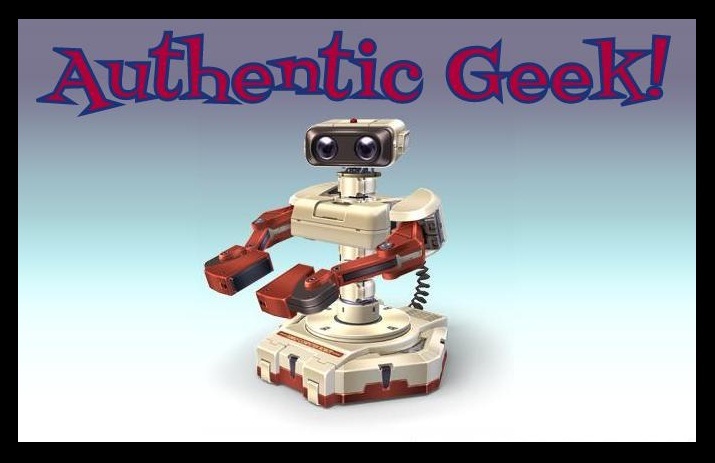 I'm so glad my awesome buddy JT got this project off the ground and I hope you enjoy our talks on all things geek-wonderful as much as we'll enjoy ranting about them. Viva le Resistance!